When they founded the Janoska Ensemble in 2013, brothers Ondrej, Roman and František Janoska and their brother-in-law Julius Darvas created a vision of modern interpretation of works that is at once in a virtuoso manner and profoundly personal. 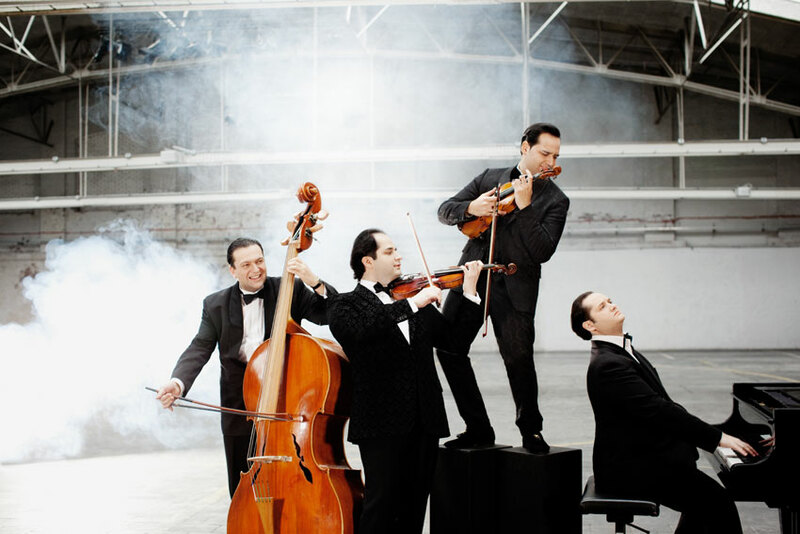 United by their family ties and with common roots in classical music, they have produced an array of renditions of popular classics, their own compositions, as well as unique arrangements of jazz, pop and world music. The ensemble, which presented its debut album Janoska Style (Deutsche Grammophon) in May 2016 at the Wiener Konzerthaus, now performs programmes showcasing instrumental expertise and improvised art on three continents. The Janoska brothers, who were born and bred in Bratislava, and their brother-in-law, who grew up in Constance/Germany, enjoy a rich musical heritage and lean on several family generations of musicians, and on their music education in Vienna, where they were taught by renowned professors such as Boris Kuschnir, Pavel Vernikov, Peter Čerman and Alois Posch. They feel at home in a variety of musical contexts and have made names for themselves in numerous orchestras and ensembles including the Vienna State Opera Orchestra/Vienna Philharmonic, Vienna Art Orchestra, the Philharmonics and the Roby Lakatos Ensemble. Since having founded the Janoska Ensemble, the musicians have channelled their artistic energies into developing their unique “Janoska Style”. 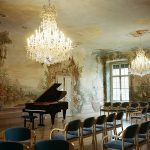 Program: Improvisation for pianists, string players and wind players. Daily 3 hours group sessions. The participants will work in groups with each one member of the Janoska Ensemble and will learn to improvise about given themes. The participants will perform the final concert together with the Janoska Ensemble. Preparation: The pieces will be announced in due time. Qualification: Adequate mastering of the instrument.